So the wedding is over. It was so much fun. I am very happy and glad that all the planning went well. 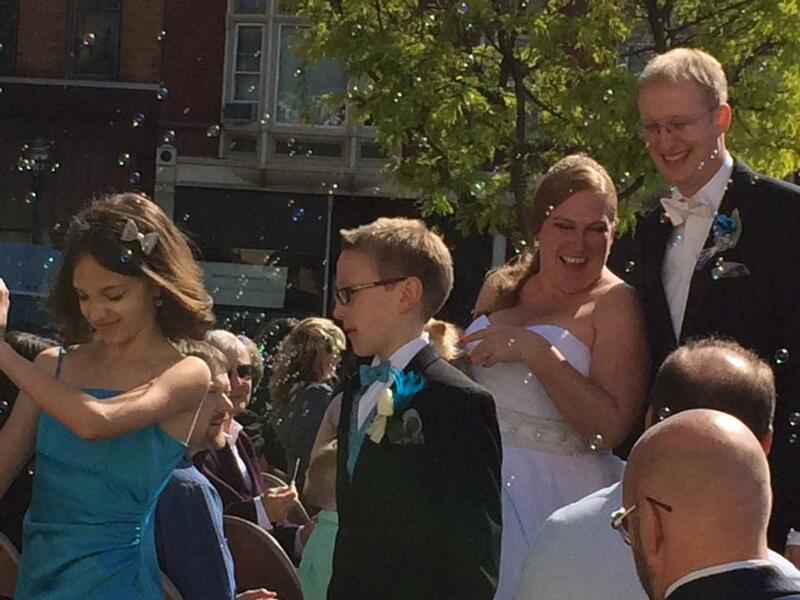 After the ceremony on the recessional. No I can get back to crocheting in full force. 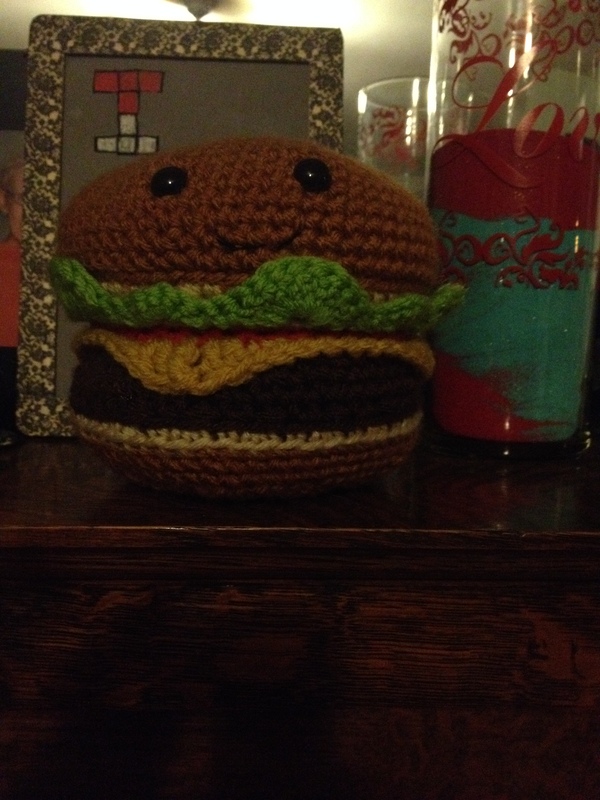 Last night I wasn’t really in the mood to come up with my own creatures, but I found this great cheeseburger amigurumi pattern at nerdigurumi. It was fun, quick and larger than I expected. I am giving away this guy when I hit 500 likes on Facebook. So go check me out.